Every time you look in the mirror and see a pimple what do you do? Do you instantly prepare your figures to pop that sucker? Do you blot some spot treatment on it and try to ignore it? Do you excessively wash your face trying to rid your skin of those blemishes? How you treat your acne is important. While some methods may help keep your acne at bay, others may make your blemishes worse and cause more breakouts. This is why it is so important to learn how to properly care for your skin and treat your acne. In our last blog, we talked about some of the best dermatology treatments for your acne. In this blog, we will go over some of the mistakes you are likely making when it comes to treating your acne. 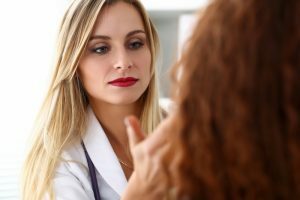 The dermatologists at Azeal Dermatology Institute in Boulder know that acne is a huge annoyance and can be embarrassing. We want to help you learn how to treat your acne and what to avoid so you don’t make it worse! 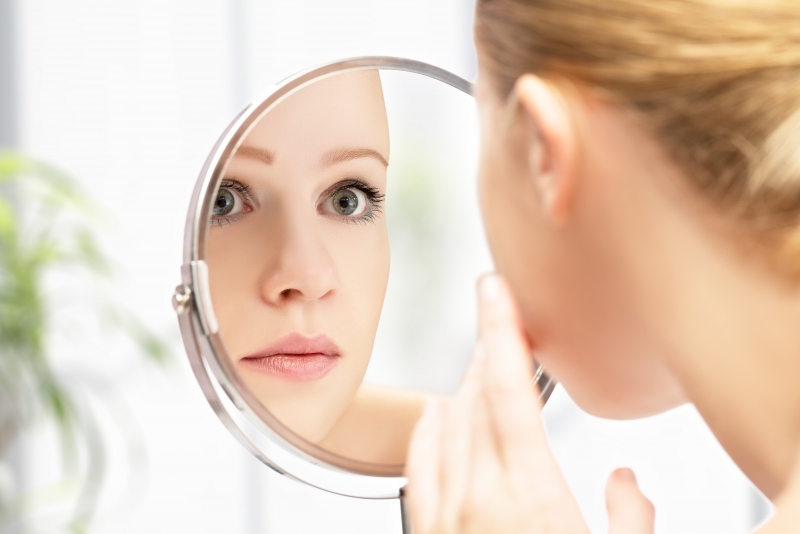 Read on to learn common mistakes made in treating acne. We all know this is a big no-no. Picking and popping pimples is a great way to increase your chances of scarring and it will make your pimples last longer. Have you ever tried not touching a blemish? They will generally vanish pretty quickly if you leave them alone! An article from WebMD mentions that picking pimples will push infected material deeper into the skin, create more redness and swelling. As hard as it may be, leaving your blemishes alone is the best way to help them heal faster without leaving a mark behind. The WebMD article mentions that skin reacts slowly to treatments. This means that you need to give your new acne treatment a while to do its job. It can take anywhere from six to 12 weeks for your skin to react to treatments. If you are trying a new acne treatment product, use it for at least a month. If you notice any improvement, keep using this product. Just because you can wake up one day with six new pimples, doesn’t mean that you can get rid of them that quickly. Be patient with your new products. They may be working, just slowly! Following an acne treatment routine more consistently is the best way to heal your acne. Washing your face is important to keeping your skin healthy, especially at the end of the day. Your skin goes through a lot during the day — from wearing makeup to sweating to being exposed to pollution. Washing your face, gently, at the end of the day is a great way to remove all of these things from your skin. 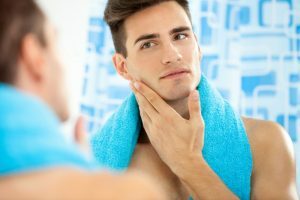 An article from The List mentions a New York dermatologist who suggests washing your face twice a day if you suffer from acne. If you wear makeup, washing your face twice back to back is a great way to keep your skin healthy and clean. The first wash will remove dirt, makeup, and oil, while the second wash will actually clean the skin. You will want to use non-irritating, pH-balanced cleansers, which will reduce inflammation. When you clean your face, make sure you gently massage your skin. Scrubbing too hard or too much can irritate the skin, spread bacteria, and cause more breakouts. Be sure that you also rinse the cleanser off completely. Any residue left behind could become irritating to your skin. While washing your face is important, cleaning it too much is also a problem. You think that washing your face more regularly will help to reduce acne and keep your skin clean. But cleaning your face too often can lead to dry skin and a lead to even more sebum production, leaving your skin oily and causing breakouts. If you are worried that washing your face twice a day may cause you to have more breakouts, then simply wash it once but make sure you remove all makeup and cleanse your skin well, without over-scrubbing of course! While makeup wipes make it easy to remove makeup, they can actually be bad for your skin. An article from Bioelements® discusses why makeup wipes should be avoided. Makeup wipes do not remove all of the makeup, dirt, and oil that your face collects throughout the day. This can cause pores to clog and breakouts to occur. Makeup wipes also leave a residue on your face that can irritate your skin and increase the chance of breakouts. Using a good facial cleanser, washing your face thoroughly (but gently), and rinsing off all of the products is a great way to keep your face and skin healthy and free of blemishes. You may not have ever thought about your shower routine and why it is important. But it is. When you don’t wash your face last, the shampoo and conditioner ingredients could clog pores and lead to breakouts. While these ingredients may help your hair stay healthy, they are not all that great for your skin. Be sure to wash your face last, getting your hairline, neck, and around your ears well. This will allow you to properly remove shampoo, conditioner, makeup, dirt, and oil from your skin. There are so many facial cleansers and acne treatment products on the market, it can be hard to know which one you should use. If you have acne-prone skin, avoid harsh cleansers, alcohol-based products, and alkaline soaps. These types of products can worsen acne. If you have sensitive skin, avoid harsh exfoliants and physical scrubs. These products are likely to irritate your skin. If a product makes your face feel tight and tingly, it is likely too harsh for your skin. The List article mentions that studies have found that well-hydrated skin is less likely to break out. While you may feel like moisturizing will only make your face more oily and cause you to breakout, moisturizing daily is beneficial. This should be part of your daily skincare routine, not something you do when your face feels dry. If you have oily skin, try a gel, serum, or liquid moisturizer, rather than a thicker cream lotion. Your diet plays a role in your breakouts and acne. While it may not be the main cause of breakouts, it sure doesn’t help when you eat a terrible diet. Eating foods with a lot of sugar is not good for your skin. These foods, which spikes your blood sugar, can trigger acne breakouts and redness. Eating a healthy diet and add anti-inflammatory foods to your diet. These foods include leafy greens, broccoli, and blueberries. These foods can help keep your skin clean and healthy. Eventually, seeing a dermatologist is a must. Not heading to the dermatologist will just leave you with acne, breakouts, and scarring for years to come. If you have tried everything and nothing seems to work, it is time to head to the dermatologist. Living with acne can lead to low self-esteem and breakouts can become painful. If you have tried a handful of over-the-counter acne treatments and nothing has helped, schedule an appointment with Azeal Dermatology Institute. We will be able to give you better options for your skin and ways to treat your acne. Knowing your skin type and what is causing your acne can help ensure you treat it properly. Our dermatologists can help you decide the best treatment option and work with you to rid your face of acne. Now that you know some of the most common acne treatment mistakes, avoid them! While it may not be that simple, they can help you reduce your acne and breakouts. Contact us today to learn more and schedule a skin care consultation and acne treatment.